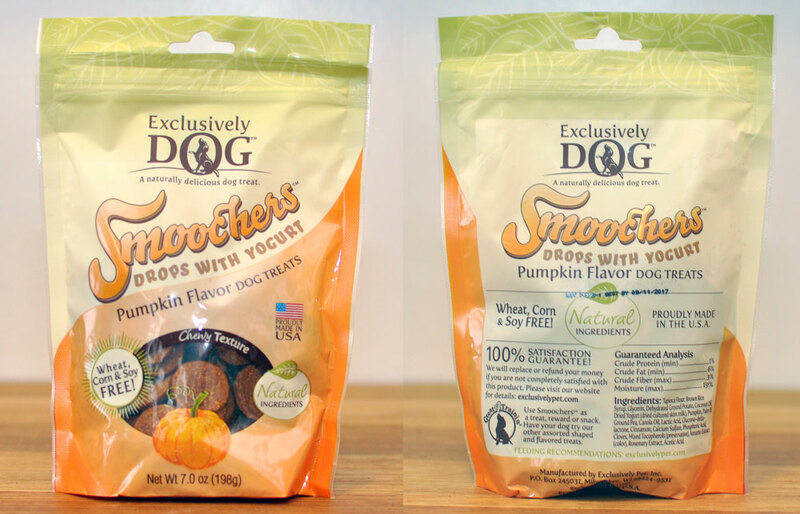 Pooch Perks Unboxing — Pumpkin Patch! I’ve been wanting to bake some some pumpkin treats for Henry but haven’t had the time. 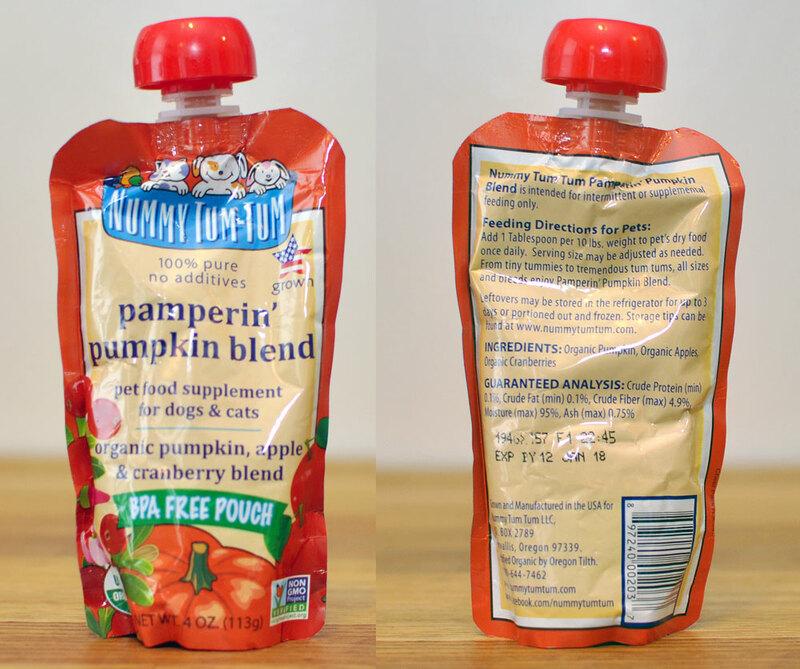 100% natural, human grade ingredients, no preservatives, wheat-free, and only four ingredients? These are the perfect solution! This cutie is so much fun! The squeaker might be a little louder than I prefer for my apartment, but the colors are delightful and I know Henry will absolutely love it. The quilting on the back reminds me of a pineapple, but it’s cute regardless. This is so perfect! 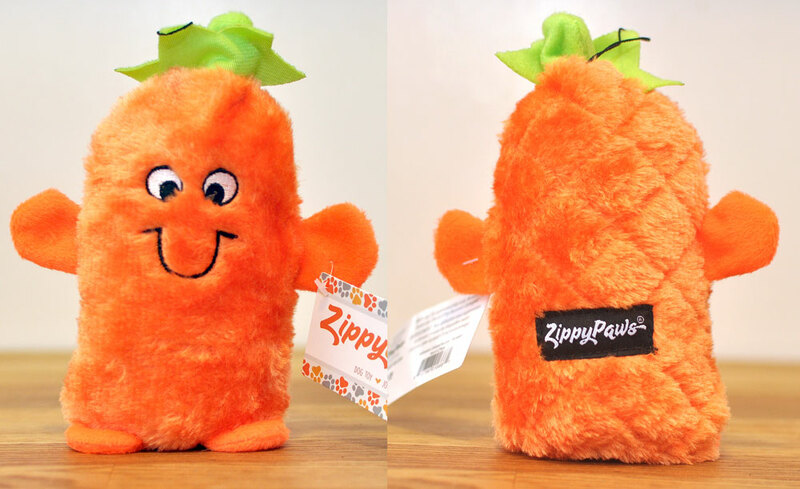 I give Henry a little pumpkin in his food year round to help with digestion, and this will be perfect for when we travel. You can screw the lid back on to keep things clean and easy. 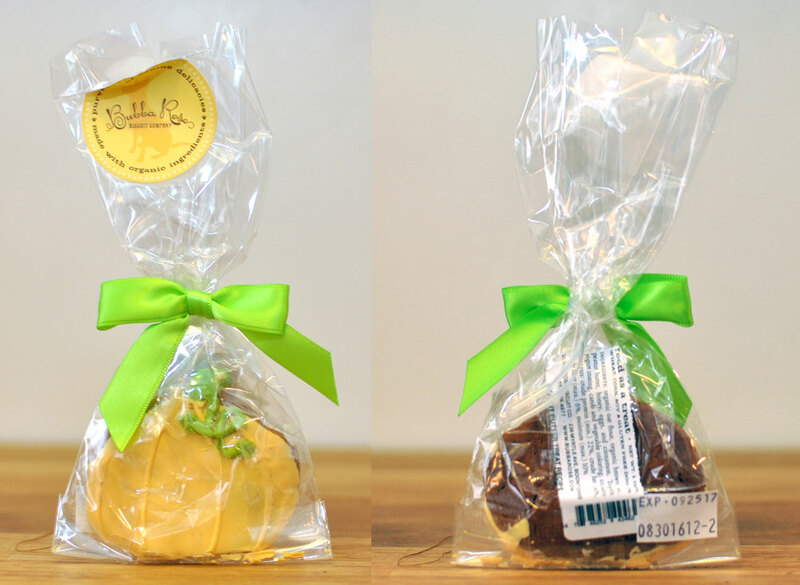 Plus, there are only three ingredients and they are all organic! First of all, this toy is so festive and perfect for the Halloween season. Second, there are so many fun aspects to this toy: there are so many different pieces to play with, and each bat has a squeaker. So cute! This treat is adorable and so festive! I’m going to save this for the Halloween day so we can get in the spirit. It looks so yummy – can I have a taste? Ok, these treats smell GOOD. Imagine your wildest pumpkin spice fantasies, and that is what these treats smell like. I cut these into tiny pieces for training on our walks, and Henry goes wild for them. I would too! They’re wheat, corn, and soy free and made in the United States. We’ve tried several Exclusively Dog treats in other Pooch Perks boxes, and Henry and I have been big fans of each one! Henry loves a good interactive toy! 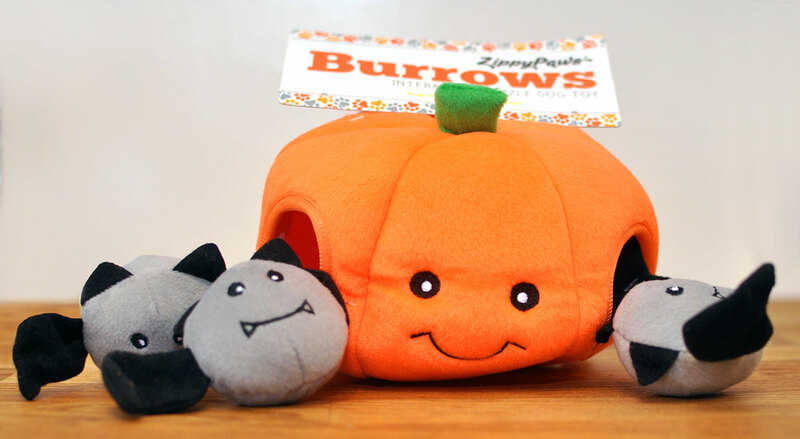 This ball (which reminds me a lot of a pumpkin) has holes for a treats and is made of rubber for bouncing or throwing. Can’t wait for some fall fun! 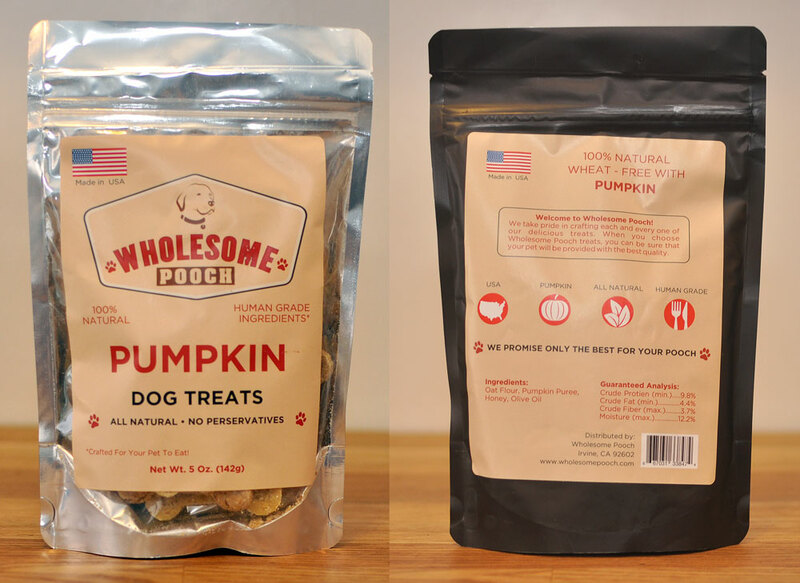 Fall is my favorite season, and I love that Pooch Perks is helping Henry celebrate! 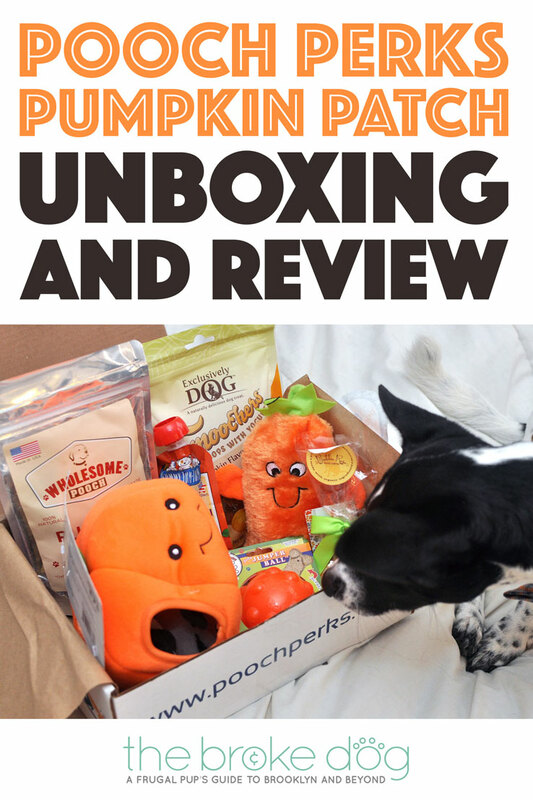 This month’s Pampered Pooch box was filled with a really wonderful selection of high-quality goodies that I know he will love. 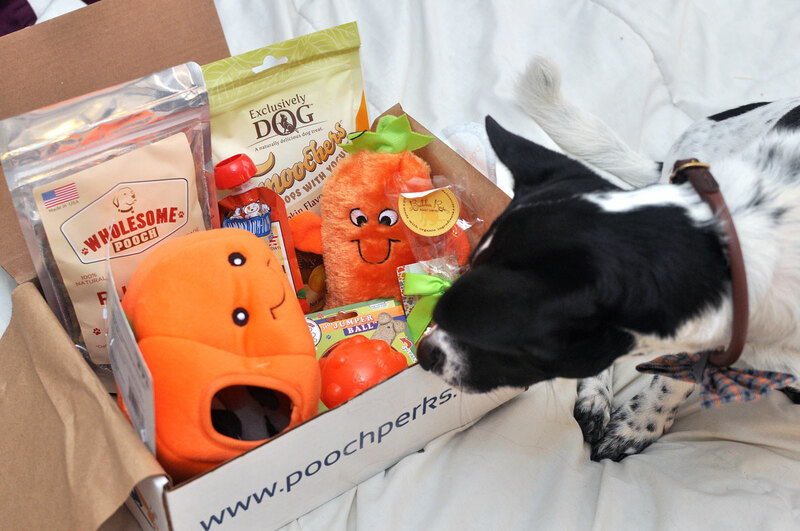 As usual, we loved doing our Pooch Perks Unboxing and highly recommend Pooch Perks as a gift for your pup or a friend’s! sounds nice like a good halloween box. thank you.